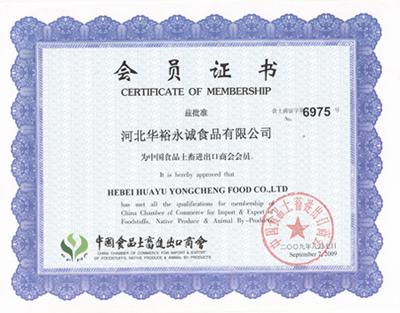 Company Overview - Hebei Huayu Yongcheng Food Co., Ltd.
10YRSHebei Huayu Yongcheng Food Co., Ltd.
Hebei Huayu Yongcheng Food Co., Ltd., a national leading company in agricultural industry, established in March 2004, located in Yongnian County, Hebei Province. Our company covers an area of 155,000 square meters, with a building area of 38,000 square meters. 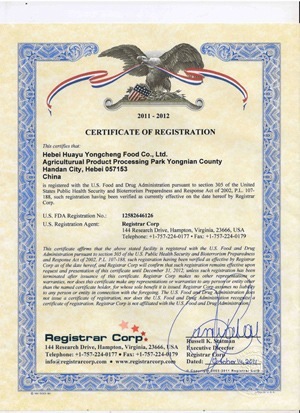 The registered capital of our company amounts to RMB 64million. 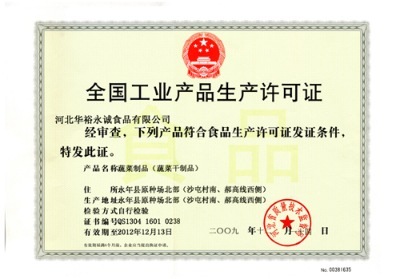 Our total investment has reached RMB120million. 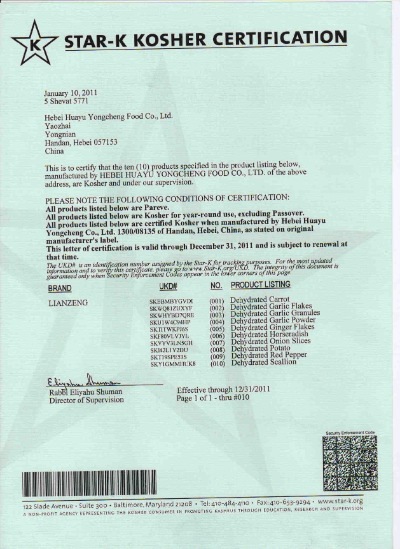 We have a strong production capacity of air dehydrated vegetables every year. 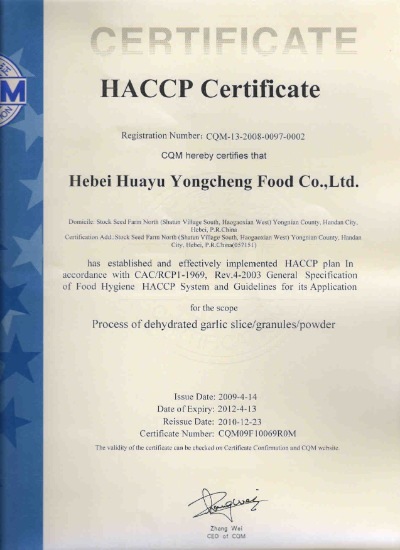 Our main products are garlic flakes, garlic granules, garlic powder,roasted garlic cloves, roasted garlic granules and roasted garlic powder. white/yellow onion slices, onion powder, ginger flakes/powder, small red chilli, carrot cubes, potato flakes/cubes, and fresh garlic.Our products are exported to Japan, USA, Canada, Australia, New Zealand, Poland, Brazil, Singapore and other countries.We have 10 drying rooms for AD series of products and 2 milling production lines capable to produce 50 tons of granules and powder daily. 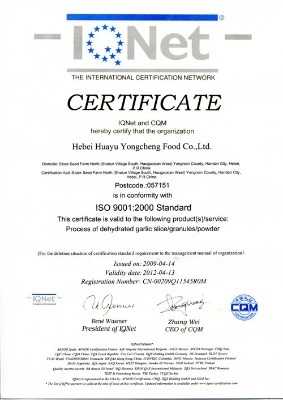 Our annual production capacity of the flakes, granules and powder items reaches 15,000 tons or more.We have the first-class refrigeration, vacuum dehydration, and drying equipment, reliable hydro-electric supplies and quality control systems. Besides, our company owns various certified professionals, who have contributed to a creative and cooperative team in production and management.Our management team promises to provide excellent quality products for every customer. With our policy of "Truly valuing and satisfying customers, and fulfilling the social responsibility", we are looking forward to cooperating with customers from both at home and abroad.